Traditional dental braces, Clear Correct aligning trays, and dental veneers are three different ways to perfect the alignment of the teeth. There are many different considerations to make when deciding which treatment will be best, and each of these options works better in certain situations. Usually, new trays are necessary every two weeks, and progress between appointments can be seen with the naked eye. 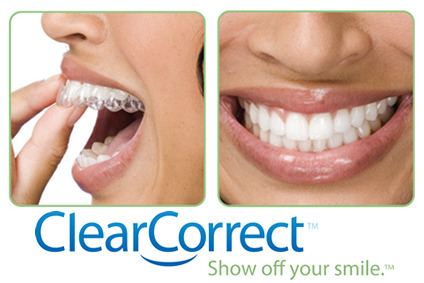 There is no doubt that Clear Correct aligning trays have revolutionized orthodontics. Clear Correct is renowned for being both comfortable and effective. If you have questions about Clear Correct, please contact our office.